Posted February 7th, 2019 by Tim Anderson & filed under Credit Card Stacking. As a small business owner, carrying the best credit card for small business is a chief part of your financial security. You want a peace of mind especially when you want to run your business smoothly and serving your customers is your priority. The main thing that worries you about is whether your credit card is charging you too much or whether it’s serving you well. The best business credit cards are those that come with hefty bonuses up to $1,000. However, it’s confusing to choose the best because it is the era of competition and since there are a lot of business credit cards to choose. What is a good credit rating for your small business? As a cardholder, you know that paying on time helps to build a healthy credit score. The same is true with your business credit. Maintaining a good business credit turns you in a strong vendor relationship. You can have better access to necessary financial support as your business gets higher. How to select the right business card? Some experts prefer premier travel credit cards and some others choose hotel cards. But the best way to choose your credit card is to analyze your spending. Does your business run up on supplies or transportation? Are you looking for to pay an annual fee in place for a sign-up bonus and good benefits? Does your credit card offer travel, shipping purchases, internet cable, and phone services? The Ink Business Preferred credit card comes with an 80,000 point sign-up bonus. In fact, if you want to earn perks and points, this is the card most suitable for small business owners to get it first as it comes under the chase 5/24 rule. Not only this, through chase own travel portal, you can transfer them to 9 airline partners and 4 hotel partners. Get ultimate points with Bonus Categories. Where the Ink Preferred Credit Card gives traveling and transport for small business owners, it’s also allowed to earn tons of bonus points quickly. The bonus categories include travel, internet, phone, and advertising on social media. You will earn 3X points per dollar on the first $150,000 spent on these categories per year. Get 80,000 bonus points when you spend $5,000 on purchases in the first 3 months. That’s $1,000 toward travel when you redeem through Chase Ultimate Rewards. Get 3 points per $1 on the first $150,000 spent in combined purchases in the following categories per year such as travel, internet, phone services and purchasing. Take an example, your small business spends $150,000 in a year on these bonus categories, you would earn 450,000 ultimate rewards. The Ink Business Preferred Credit Cards comes with a big sign-up bonus. So make sure you utilize the smallest spend requirements during the prescribed time that is three months to ensure you receive the bonus. The Chase Sapphire credit card does not have an annual charge for the first year and then costs $ 95 per year after that. The APR rates usually range from 17.99%– 24.99%, depending on your personal credit score. The APR rates usually range from 17.99%– 24.99%, depending on your personal credit score. The Chase Sapphire Preferred credit card provides you with 50k bonus points, while there is no Intro APR offer. If you spend $ 4k in the first three months of opening. This is equal to a $625 payout rate if you pay the points with last-minute rewards. This is equal to a permanent rate of payment between 1x-2x points per dollar spent is also available for this card. In general, you earn 2x for all travel and restaurant costs and 1x for all other purchases. The amount of points you can earn is not limited. All these points, both initial and gradual, can be used in place for cash, airline cost or other travel costs such as hotel stays, be save via the Chase Ultimate Rewards. The credit card of the Chase Sapphire Preferred usually requires an individual credit rating of 690+. This makes your personal credit report hard to check. A $95 credit card per year is open for the American Express Blue Cash Preferred Credit Card. For the first 12 months, however, all acquisitions and balance transfers have an initial APR of 0 percent. Typically, the ongoing APR rate is between 14.99%– 25.99% and the cash advance rate is 27.24%. The rate of rewards decreases to 1xpoint per dollar expended when the $ 6k limit for supermarket purchases comes. Rewards of 30 – 60 days after the payment of the credit card bill will be made Cash Back. These awards can be redeemed at a 1:1 ratio for declaration credits, gift cards, and commodities. In general, if a business owner hopes to qualify for one of the best personal credit cards, he or she needs a personal credit score of + 690. You can check it here for free if you don’t already know your personal credit score. You will also be given 2 free summary reports of your company credit score based on your company credit report by your free personal scoring. The credit card Capital One Venture Rewards has no annual fee the first year and then a fee of $ 95 per year. Current APR rates typically range from 13.74% to 25.74% depending on the personal loan score of the company owner. The card has 25.74% cash advance and no foreign transaction charges. You can receive 50k bonus miles if you spend more than $3k within the first 3 months. For every dollar spent without limits or category limit, the card has 2x ongoing rewards miles. Through a declaration credit for airline tickets, hotel stays, car rental, and other things, miles can be redeemed. Like the 2 previous cards, a personal credit score of 690+ is normally required to receive the Capital One Venture Rewards credit card. You can check this here free of charge if you don’t already know your own credit score. You will also get 2 summary reports from the free business credit score, which can help you understand the scores in the D&B credit report. 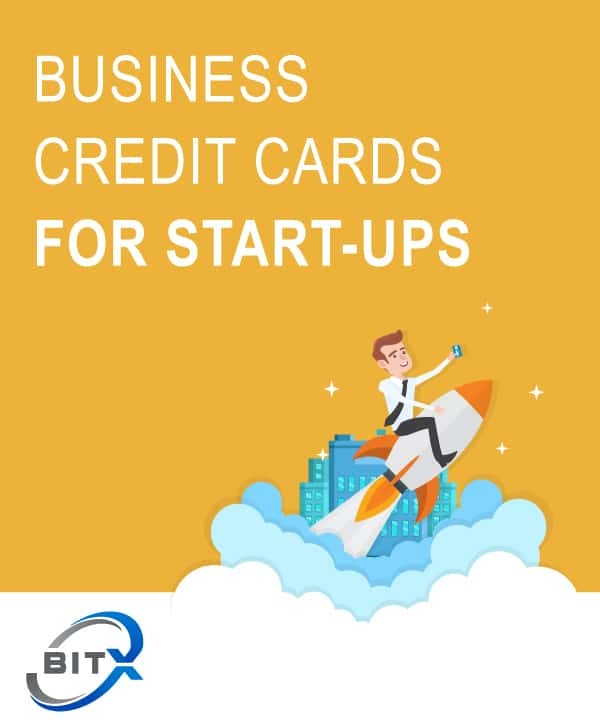 Overall, business owners ‘ personal credit cards are great for startups. It is also good for established business owners who want personal expenses to be rewarded. Just make sure you use one of the best personal credit cards available if you are using a personal card for your company.